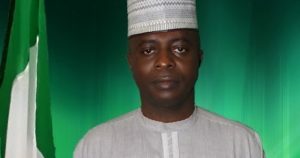 A member of the House of Representatives, Razak Atunwa has emerged the governorship candidate of the Peoples Democratic Party (PDP, in Kwara. The Governorship candidate, who was also a former speaker of the State House of Assembly, polled a total of 1, 555 votes to defeat Lafiaji who scored 578 votes at the primary that took place in Ilorin on Monday. E Eight aspirants announced their withdrawal after accreditation of delegates at the Banquet hall before the commencement of voting.